The one year coating is just one coat of Ceramic Pro Light. Ceramic Pro Light acts as a hydrophobic top coat, and it’s a great addition to vinyl or clear bra because it keeps your custom work looking better longer. Rain just beads right off the car. Also, it’s got a one year warranty for things like scratching, swirling, environmental damage, and so on. It’s not as permanent a coating as the five year or the lifetime, but it’s a great introduction to what Ceramic Pro can be for people who aren’t sure if they want to commit to the full lifestyle, or people who like to switch up the look of their full vehicle wrap, either because they’re re-selling or because they like to change it up. 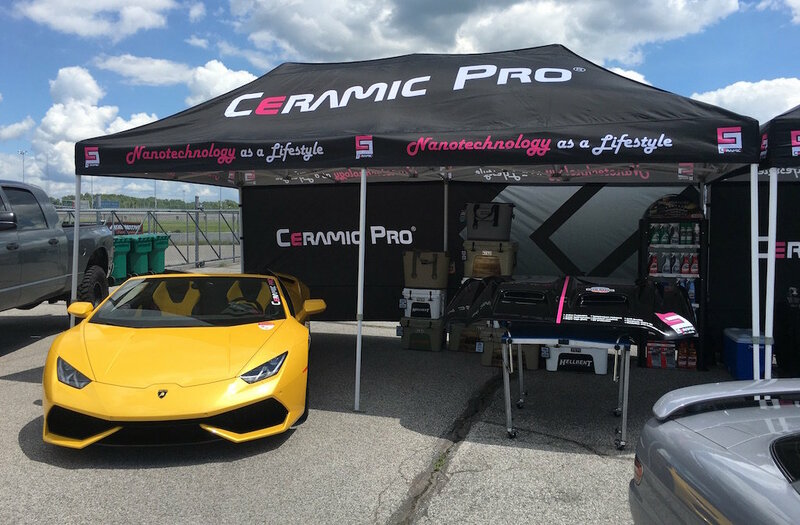 The Ceramic Pro Two Year Package doesn’t come with Ceramic Pro 9H, but it does come with one coat of Ceramic Pro Light. While it’s not as hard as Ceramic Pro 9H, it’s a hydrophobic coating that acts a top coat and still gives you adequate protection from the elements. Because it’s so hydrophobic, rain beads off very easily and washing your vehicle takes a lot less time. If you’re someone with a fairly short ownership style, or if you just want to see what Ceramic Pro is all about, this is a great entrance into what the lifestyle is all about. The Two Year Package is also a great way to bolster the life of your clear bra (PPF) or your vinyl wrap.